extras: can one of the eyes be a lighter brown than the other! omg thats a YES. I love the outfit. 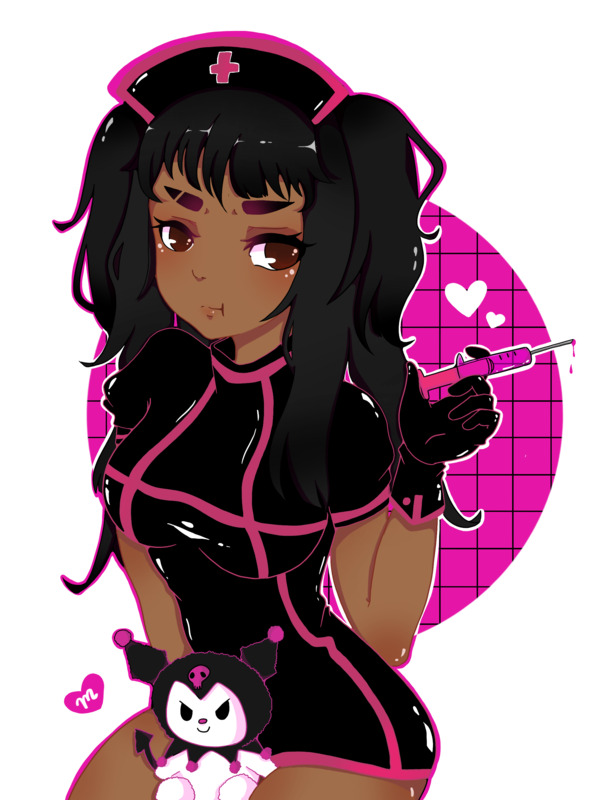 Also, with the pose, did you want the hand exactly like that, or just her holding a syringe in general is okay? 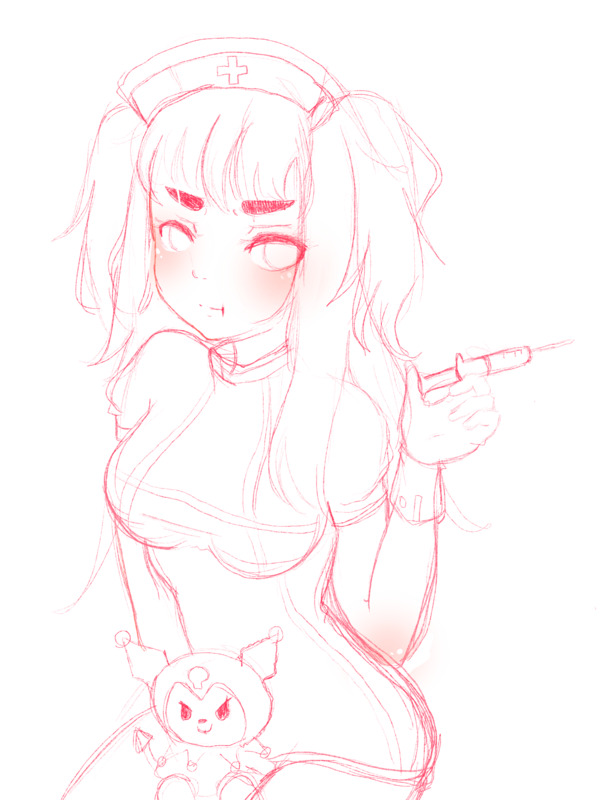 just her holding a syringe in general whatever works for you is good :’) EEK a thank you idk why, but I’ve been into nurses suddenly..
Nurses are super cute ! Also I finished the sketch. Let me know if you want any details added on ! AAA i friggin love this sm no changes and I’ll send payment now! eeee, when i get paid this week im coming back to get smthn!! Yes of course! I’ll get started right away.